VFW Globe was commissioned by the Oregon Veterans of Foreign Wars organization, and is placed in Salem, Oregon next to the Veterans Affairs building. 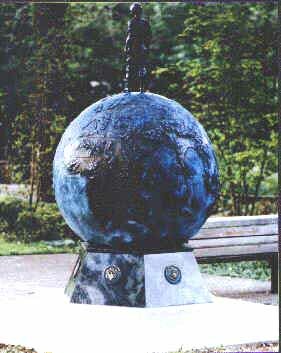 The 8 foot monument portrays a 24" soldier standing on top of a 5 foot Earth globe, with a 12" marble base. On the marble base are round bronze plaques that represent the different branches of the military. It was unveiled on May 30, 1986. 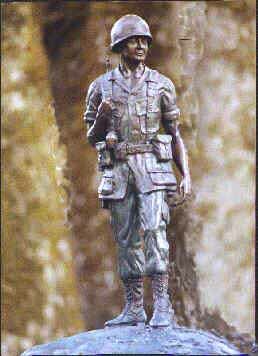 This monument is in memory of those who serve our country and our communities in the Armed Forces of the United States of America.....and especially for the memories of those who give the maximum sacrifice so that we can continue to enjoy the benefits of our bountiful country and free society.